With all the activities that are in the works, it is obvious that we can't wait for spring! And now it's time to get out and put a little shine on our environs. Even though the Great American Clean-up isn't until April 26, it wouldn't hurt to organize neighborhood efforts a little early to beautify and show our Lilburn pride. While you are helping to make a clean and beautiful community, take a few pictures of your efforts and send them to info@lilburncp.com and we'll include them in our April issue. Until then, happy reading, raking, cleaning and planting! Tickets for Taste of Lilburn On Sale! Taste of Lilburn will take place Saturday, March 22, from 2:30 until 5:30 p.m. at the Calvin Fitchett Municipal Complex (Lilburn City Hall) Auditorium at 76 Main Street. Tickets are on sale in advance 2/$25 or $15 for a single and entitle the holder to a glass of wine or soft drink and food samples from six top Lilburn restaurants: 1910 Public House, Bamibinelli's, Oyster Barn, Spiced Right, Taqueria Los Hermanos and Three Blind Mice. 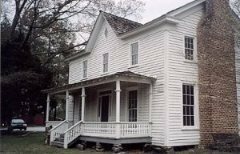 Funds raised will benefit Wynne-Russell Historic House. To purchase tickets on-line or by mail, go to www.lilburnevents.com. The Feburary Business After Hours held at the Flexfit Gym in the Beaver Village Shopping Center was another success. 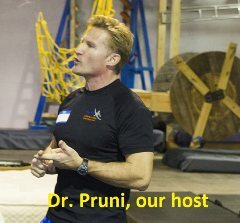 Over 40 residents, organizational leaders and business operators attended and learned what is involved in stunt training and Ninja Warrior fitness. Dr. Bob Pruni as Host for the evening demonstrated and narrated. Attendees also got to hear from the business operators, and great door prizes were awarded by FlexFit, Simply Special Cleaning Services, Public House, Dorough Landscaping, and Lilburn Lawnmower. 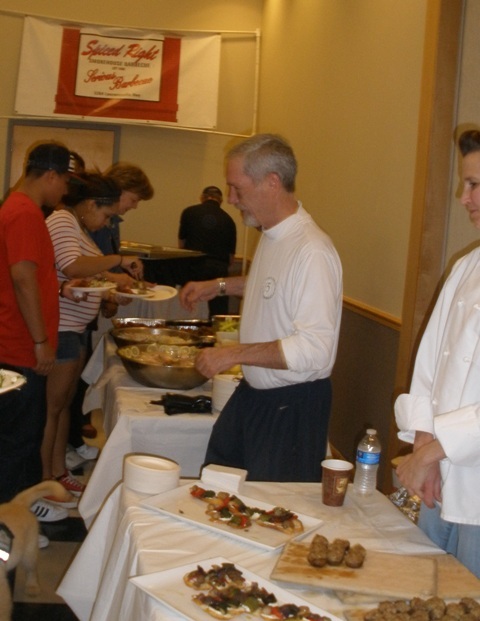 Refreshments were provided by Joe's to Goe's on Indian Trail and Kroger of Beaver Ruin Village. For pictures of our previous events successful, check the LCP Facebook photo album. March Business After Hours will be held Thursday, March 20, 5:30 - 7:30 pm at the Lilburn Community Garden on Camp Creek Rd. just across the railroad tracks from Lilburn Park. Again, we invite residents, business operators and organizational leaders to attend, learn and network. 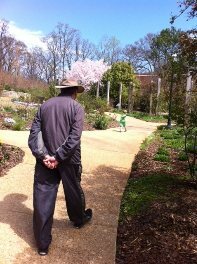 The March program will include time to meet and greet, tour the garden, hear from our hosts about future plans for the garden and invite our landscapers to give us some tips for beautifying our neighborhood and commericial areas. Business operators are welcome to bring a door prize and will have the opportunity to introduce their business as they host the drawing. For more information contact info@lilburncp.com. 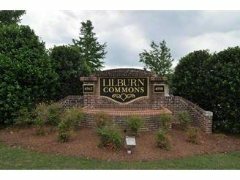 The Lilburn Farmers' Market is relocating this summer to to Good Shepher Presbyterian Church at 1400 Killian Hill Road, Lilburn. 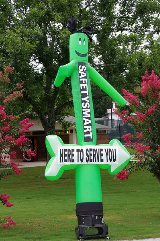 Now in its 5th season serving the Lilburn area, the market will be open Fridays, 4 - 8 pm begining June 6 and ending Friday, August 29. No Market on Friday, July 4. Vendor information on the web site: www.lilburnfarmersmarket.org. Sign up for email updates at: info@lilburnfarmersmarket.org. The City of Lilburn is taking reservations for its White Elephant Sale to be held on Saturday, June 21, 9am - 2 pm. The City is discontinuing its seasonal garage sales, as it adds other events to its calendar. No worries; check the Lilburn Community Partnership Bulletin Board for an announcement regarding dates for monthly garage sales beginning in April at the Wynne-Russell House. Other City events that are in the works are: Several community Fun Runs, Great American Clean-up on April 26, Pawfest on May 10, Hiking and Hotcakes to Cure Scleroderma on June 14, Sparkle in the Park on July 4, National Night Out on August 5 as well as others that are mentioned in other articles. Get more details from the City website LINK. 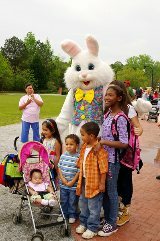 The Downtown Development Authority will once again host its annua l Easter Egg Hunt in the park on Sat. April 12 from 10 am until noon. Sponsors are needed for this event. Click on this LINK to download details. For event details, click on this LINK. 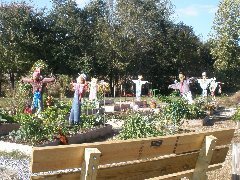 Come celebrate the grand opening of Lions' Club Park on Saturday, March 8, from 10 am until 2 pm. This is a free event with games and activities for the entire family including inflatables, music, face painting and crazy hair. There will also be the Pitch Hit and Run competition at 9:00 a.m. open to boys and girls age 7 – 14. Top scorers in each age group will advance to Sectional Competition and have a chance to advance to MLB Team Championship and National Finals. A copy of the child’s birth certificate is required to compete. Concessions will be available for sale. The event is co-hosted with the Greater Lilburn Athletic Association. 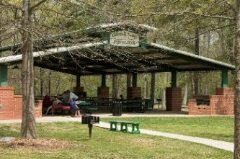 Lions Club Park is located at 550 Rockbridge Circle, Lilburn, 30047. See the www.lilburcp.com for more pictures of the park. March 21 from 6:00pm to 9:00pm. Pizza, movie, games, and more on this special night for kids. Open to children ages 7 to 12. Admission is $12.00 per person. Mountain Park Activity Building, 1063 Rockbridge Road in Lilburn. Participants must pre-register here by March 18 or call 678.277.0179. Are you interested in getting more exposure for your work by exhibiting it in local venues? Find out more information HERE! The presentation "Facebook: Make It Work for You" by member and businessman is scheduled for Wednesday, March 12 at 7:00 pm at Lilburn City Hall. Mark your calendars so that you do not miss this informative presentation. The Lilburn Woman's Club is busy planning spring and fall events. 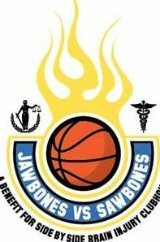 They are inviting the community to help them support Jaw Bones-Sawbones, to be held March 15, 7-9 pm at the Decatur High School Gym. Then they have their Garden Tour Saturday, June 7, from 9 am-3 pm. Tickets will be on sale in April. Of course plans are in the works for another Lilburn Daze, Saturday, Oct. 11, 9-4pm. With so much going on, it is understandable that the Club has ceased coordinating the Lilburn Relay Rally which had a nine-year run. The Club has a team registered for the Gwinnett Relay for Life and hopefully Lilburn Relay Rally teams will join the Gwinnett Relay for Life as well. 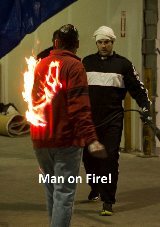 That event is May 9-10 at the Fairgrounds in Lawrenceville. Go to the LWC web site for more info on all of their activities and programs. The Lilburn CID office has relocated to 4566 Lawrenceville Hwy, Suite 220. This location is located in the Lilburn Commons office and professional services center. Executive Director Gerald McDowell explained, "The location of this new office will allow us to better serve the CID's stakeholders." The CID's Board of Directors will continue its regular schedule of monthly meetings on the second Friday of each month. Unless otherwise posted, the Board meets beginning at 8:30 a.m. in the Providence Christian Academy - 4575 Lawrenceville Highway, Lilburn. 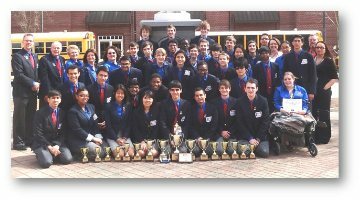 More information about the CID, its Board of Directors and ongoing pojects is available online at LilburnCID.com. In January we reported that Gwinnett Public Library was installing a new catalog system. With the new system, the Library has also overhauled their web site. 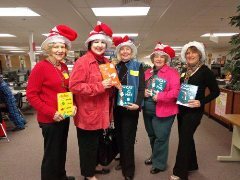 Check the Gwinnett Library Calendar for activities and events near you. 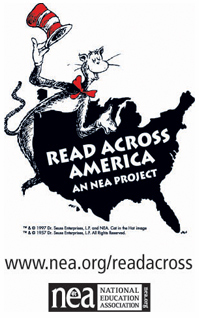 THe Library kicks of March with Read Across America with Dr. Seuss reading time on Saturday, March 1 from 12:30 - 1:30 pm. One activity that is not on the County Calendar for Lilburn is the Prime Time Reading for families that is weekly on Monday evenings at 5:30 p.m. through March 17. This is an activity presented by the Education Department of the Lilburn Woman's Club. 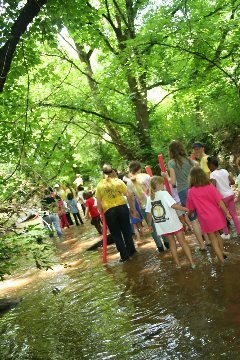 Registration opens March 1 for summer camps covering a variety of topics such as science, music, nature, history and daycare. Click on the age groups below for registration information. The critical importance of maintaining 180 days of instruction. Devising a plan that would have the least impact on students, families, and employees. A desire to cause as little disruption as possible to the tentative graduation schedule. The remaining four days will be made up by extending the school day by 30 minutes for 48 days. This means that all schools will dismiss a half-hour later than their regular time, from March 3 through May 14. Reprinted from Parkview HS web site. Affordable Care Act Seminar, Saturday,March 8, from 9 a.m. until 3 p.m. at the Gwinnett Medical Center Resource Center, 665 Duluth Highway, Lawrenceville. This is an ACA enrollment event to connect residents and resources as it relates to the national healthcare enrollment process. In addition, ACA healthcare navigators will be on-site to assist the public with the process. For event registration, call 678-312-5000 or send email. Gwinnett Neighborhood Leadership Institute is now accepting applications for its upcoming Community Leadership Training Program, kicking off in August, 2014. This marks a special year in that we will be celebrating our 20th anniversary of leadership development to the community! Training is provided to Gwinnett County Citizens interested in learning effective leadership skills so that they can take a more active role in community affairs. Workshops are held on one Saturday each month for eight consecutive months (August –March). Session topics include government affairs, crime prevention, health, education, regional issues, community growth and media relations. Participants will also be trained in core skills out of the The J.W Fanning Institute for Leadership Development. To deepen the sense of community among class participants through a group process. To provide a practical, tangible and positive benefit that will have a lasting impact in the community. 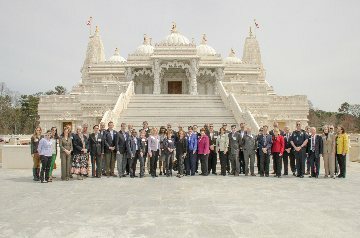 Deadline for applications is April 1, 2014 :: $500 Program Fee with limited partial scholarships available :: Applications can be downloaded on our website at www.gnli.org. You can nominate yourself or others by clicking here. 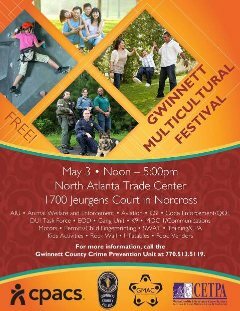 If you have any questions, please contact Nicole Love Hendrickson at 678-377-4137 or e-mail Nicole@gwinnettcoalition.org. 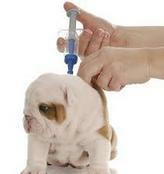 Are Yearly Pet Vaccinations Necessary? ​So how do you know if adequate antibodies are present in your pet to warrant skipping a round of vaccines? Distemper, Parvovirus, Adenovirus and Rabies vaccinations produce antibodies, measured in titers that can be detected through a simple blood test. An antibody titer is a measurement of how much antibody an organism has produced. Once a dog has a positive titer, he is considered protected for life. This means he no longer requires more vaccinations (most of the core vaccines have been shown to protect dogs for 7 to 15 years). Titer testing can be a bit pricy but two new products Biogal’s VacciCheck and Synbiotics’ TiterCHEK are changing that. At a cost of about $20 each they are more affordable than many vaccines. Both tests measure Parvovirus and Distemper and the Vaccicheck also measures Adenovirus. Titers traditionally have to be sent out to labs for analysis, but these two tests are performed in-house, greatly reducing costs. Do your part in the fight against over-vaccination and inform your vet of these great new alternatives as they may not currently be aware of them. Tues. March 4, 8:15am-9:30 Lilburn Community Partnership Board meeting, CID office @ 4566 L'ville Hwy, Suite 220. Sat. 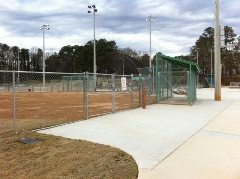 March 8, 10 am - 2 pm, Lion's Club Park Grand Opening. Sat. 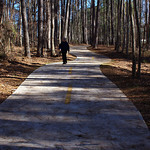 March 8, 8:45-11:30am , Parkview Trail Trot Camp CreekGreenway Trail. Thurs., March 20, 5:30 -7:30 pm, Business After Hours at Lilburn Community Garden, Camp Creek Rd. near Lilburn Park. Sat. March 22, 2:30 - 5:30 pm, Taste of Lilburn, City Hall Auditoium, 76 Main St, Lilburn. Sat. April 26, 10 - 2pm, Great American Clean-up, City Parking Lot.